Here at F.I.N.D.S. 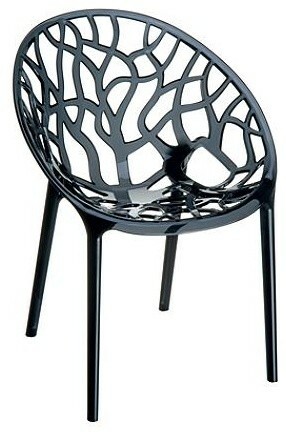 we love furniture, more specifically chairs! With all the fantastic chairs that are out there to love we have decided to pick one of our favorites each month. Each chair will be selected to work with our monthly mood. 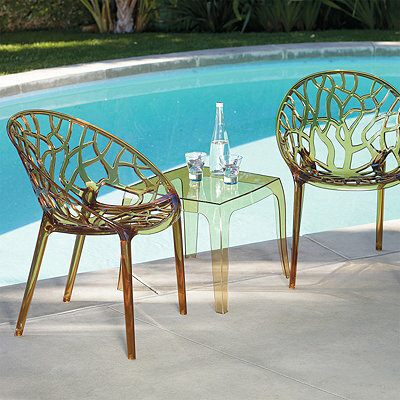 As seen in our last post the theme this month is Seaside Retreat and our favorite chair for this theme is the Davoli Chair from Frontgate (http://www.frontgate.com/davoli-chair-and-table/517968?redirect=y). 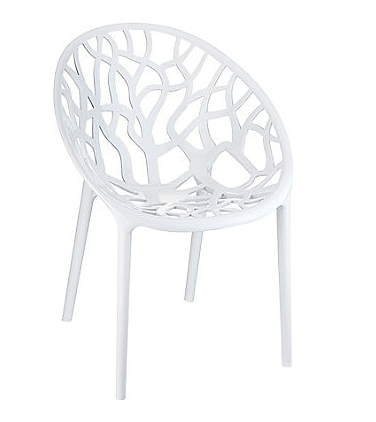 We felt the limb-like motif of the chair represents the shapes found in coral. In our monthly mood this was a great way to bring coral into the design without using an actual sculptural piece of coral, helping to keep with our more modern take on the seaside retreat. The Davoli chair is cast in polycarbonate which makes for a durable and lightweight chair. It is an all-weather chair which can be used indoors or out. It is offered in the Translucent black color we featured on our mood board and also an Amber, or glossy Opaque White. It would be a great idea to get a few extra chairs for more seating when guests are over, just stack them up in storage when not in use. This way there is stylish seating to be brought out on a whim when needed. The sculptural aspects of this chair, the modern feel, and the versatility that allows this chair not only be placed in our modern seaside retreat, but many styles of décor is what make this our pick for Chair of the Month.